Sytek opened its doors in Houston, TX in 1972, formerly known as Siemens. Our repair facility consists of over 20,000 sq. feet, (5) bridge cranes totaling 70 tons of lifting capability, as well as jib cranes allowing us to handle almost any size motor. We offer services 24/7 as well as field service. We are dedicated to keeping our customers up and running and strive to get each job done right and deliver on time. Our quality craftsmanship and customer service is the foundation of our company. Dynamic balancing up to 10,000 lbs. Sytek Electric leads the electrical repair industry with pride that produces quality workmanship. Our staff is on call 24-hours a day, and our repairmen can be at most sites within thirty minutes. Serving the greater Gulf Coast region. 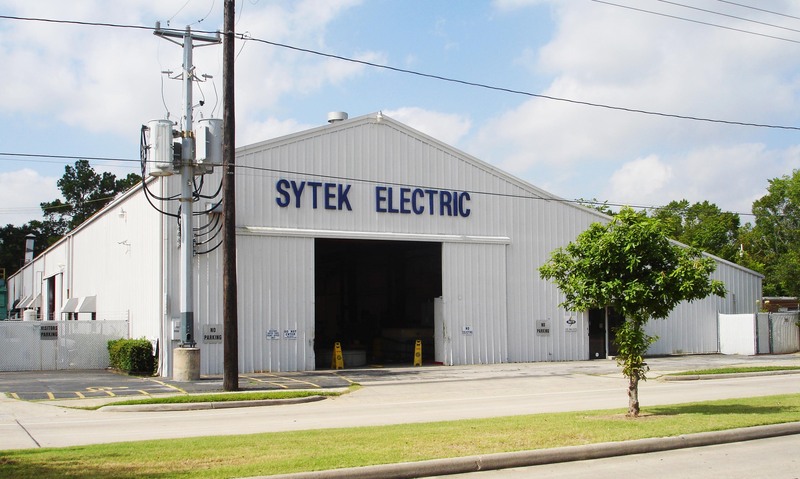 since 1972, Sytek provides companies with Electric Motor repair, sales, storage, warranty and preventative maintenance. Do it right the first time, and deliver the job on-time! Sytek Electric leads the electrical repair industry with pride that produces quality workmanship.